Prosecutors said Tuesday they would charge 200 professors for copyright violations next month, suspecting them of changing the covers of existing books by other people and publishing them in their own names. 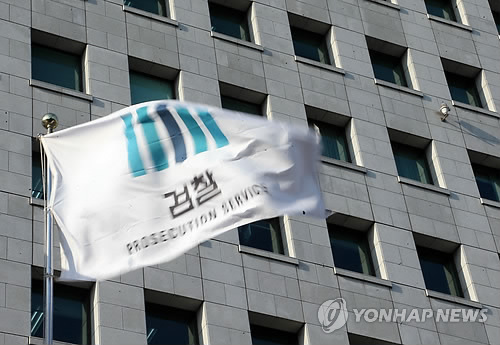 The Uijeongbu District Prosecutors’ Office called in 200 professors from 50 universities for questioning over the past three months. As most of the accused, including well-known lecturers, admitted to the charges, they will be indicted next month, prosecutors said. The prosecution raided universities and publishers across the country, seizing evidence such as emails and academic portfolios. It also booked four publishing company employees who are suspected of involvement in the scheme. The professors, mostly in science and engineering majors, are accused of publishing others’ works under their own names by simply changing the book covers to boost their academic profiles ahead of assessments for rehiring. The publishers ignored the practice or even encouraged professors to help offload unsold science books by redesigning them as new ones, prosecutors said. The original authors also allegedly turned a blind eye to the practice under pressure to maintain a favorable relationship with the publishers for future book deals. Some of them are suspected of having taken kickbacks from publishers in return for keeping quiet. The professors in question are likely to be dismissed from their posts if they are found guilty. Universities have policies against rehiring those who have been fined more than 3 million won ($2,600). Those violating the copyright law can face imprisonment of up to five years and a penalty of 50 million won. The alleged collusion among professors and publishing companies shed light on the ethical problems rampant in academia, where plagiarism among professors and teachers has been persistent. Most recently, Changwon National University president Choi Hae-bum was involved in a plagiarism scandal as 33 professors from the school took issue with his doctorate thesis. According to a survey from last year of 417 graduate school students from Korea University, 33 percent of the respondents said they had experienced corruption in the process of conducting research or writing a thesis.